The German Pillbox was a formidable defense mechanism during World Wars I and II. After the Franco-Prussian War of 1870 and 1871, the newly formed German state and their rival France began rapidly building defensive networks to protect their borders against future hostilities. The Germans and French learned from 19th Century conflicts such as the American Civil War and the Crimean War and built their fortifications increasingly stronger to defend against ever more powerful and evolving artillery. The resulting pillboxes and bunkers featured steel rebar reinforced concrete cover layered with cast iron armor, as well as living quarters and long access tunnels. 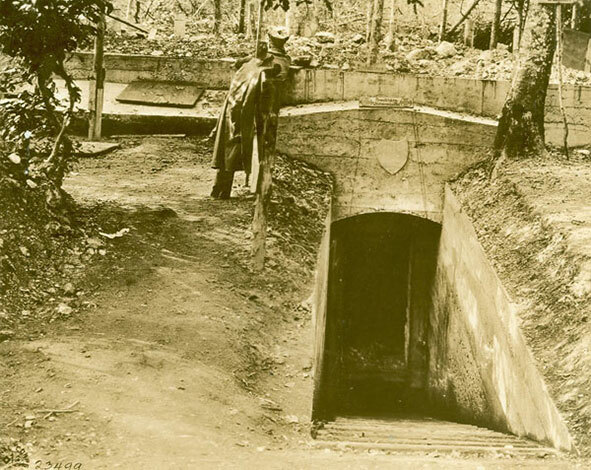 After World War I, the Germans increased their bunker and pillbox construction. Known as the "Siegfried Line," the Germans interspersed reinforced bunkers with anti-tank barriers and barbed wire, among other defenses, to protect against possible French invasion if Germany went to war against Russia in the east. From the beginning of World War I all the way to Patton's advance through Germany in World War II, Allied Soldiers were forced to deal with these reinforced pillboxes during nearly every major engagement. 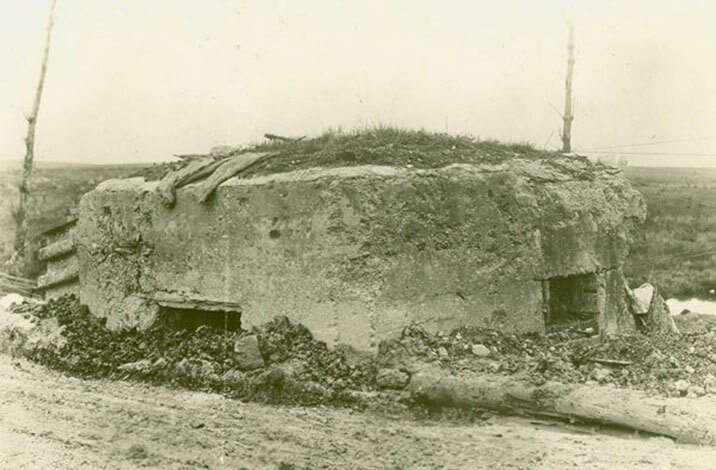 The German pillbox on the Army Heritage Trail is an example of the typical fortification found on the German-French frontier between the beginning of World War I and the end of World War II. 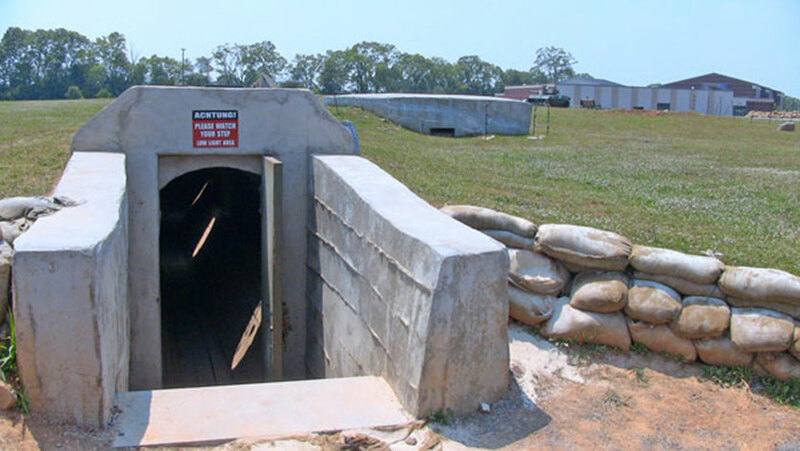 The bunkers were built at strategic locations on trench lines, hillsides, or on the outskirts of towns and housed weaponry ranging from machine guns to mortars and artillery. With two feet thick concrete walls, the pillbox offered a great deal of protection from enemy rifle and artillery fire. The concrete defenses held anywhere from just a few Soldiers at a time to entire garrisons in some of the large, complex, tunnel connected fortifications on the Siegfried Line. Army Heritage Trail German Pillbox Entrance. German Dugout used as a First Aid Station by the Allies. Caption from original photograph: "German Pillbox taken during the advance of the 79th Div. Haucours, Meuse, France. October 22nd, 1918."